Exploring Photography with Mark Wallace. 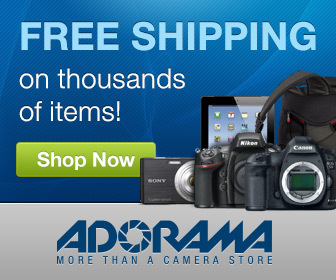 This series was created specifically for AdoramaTV. In this episode I explain how to set up a Lightroom system from the ground up. In this video you’ll learn how to set up your hard drives, name folders, and configure Lightroom to create a system that will grow with you for years. When I create videos I’m usually inspired by something I’ve seen, read, or heard. In this week’s Exploring Photography video I was inspired by the words of Ansel Adams. Ansel Adams was big on the idea of seeing the end result before taking a photo. He talked a lot about visualizing a finished print before making a photo. I totally agree with his ideology of seeing before shooting. But the thing that I most admire about Ansel Adams is his concept of post production. The Where To Start Chart is a tools designed to help beginning photographers navigate the settings on their camera. The chart is an interactive PDF file with links to hours of free photography tutorials. If you get to a spot and are unsure what something means, just click the box to watch a video about that topic. In this episode Mark walks you through the process of calibrating your computer monitor using X-Rite color management tools. In this episode, Mark explores his 4 favorite features of the new Adobe Lightroom 5. He’ll talk about the Upright tool, Radial Gradients and his absolute favorite new feature – the healing brush. Mark will show us how easy it is to fix a crooked photo and take something completely out of photo, all in Adobe Lightroom 5. Did you know that the colors in your photo aren’t always as clear as “black” and “white”? In this episode, Mark shows you how to adjust the black levels in a photos to get the most punch. In this episode, Mark shows how he uses a high pass filter in Photoshop CS6. He’ll show some quick skin retouching, and how he uses the high pass filter to get a much sharper image. It’s always a good idea to have a few lighting setups that you know inside out. This gives you a great safety zone if you get stuck during a shoot. In this episode, Mark explains one of his go-to lighting setups. Using a large 4×6′ softbox as the key, white foam core for a fill and a small 2×3′ softbox as a kicker, Mark gets a beautiful portrait.